The Victorians Workshop | The Dacorum Heritage Trust Ltd. Many of the places around Dacorum still have Victorian influences in their buildings and industries. 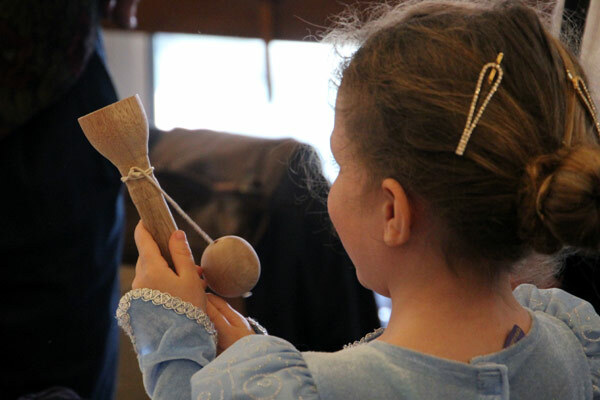 In this workshop we aim to highlight how local people worked and lived and especially how children of the period lived their lives at work and play. One of the main local industries was straw plaiting. A handling session where pupils can feel real and replica objects used at the time including samplers, straw plaiting items including a straw hat and splitters. A chance to look at old photographs and maps of the town and see how buildings they may recognise have changed over time OR….a dressing up session where pupils can dress in costumes of the period and discuss the differences between rich and poor people’s lives. A craft activity…..either a straw plaiting activity where pupils learn about the making of straw plait for the local hat industry and make some straw plait using art straws OR…..pupils discuss how children from the Victorian period played and make a thaumatrope.